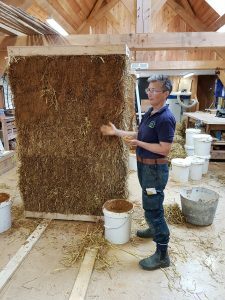 During this course, we will be building the straw bale walls so you will learn all about this natural building technique. 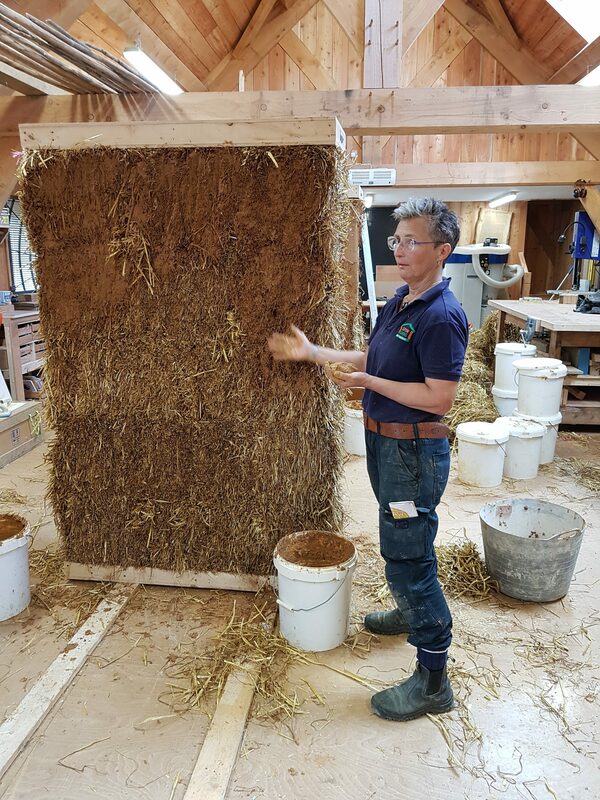 We will cover practical aspects of straw bale building including how to dress and customise bales, notching, loadbearing and infill techniques, compression of the wall, and much more! Immediately following this course, there will be a unique opportunity to learn about straw gables, timber work and lime plastering. Click here. 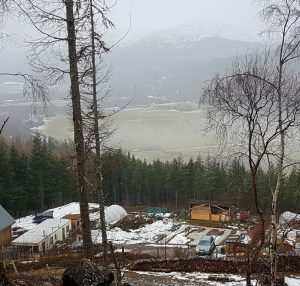 This is a 1.5 storey strawbale home in the Scottish highlands. With beautiful views into Glen Affric’s wild mountains, it’s a bonny spot! Rae Parkinson will be teaching on this course. With many years of experience and an outstanding reputation in the field of natural building, Rae ensures course participants have a fun, value packed time. We will work from 8.45 until 17.00 each day. It is very important that everyone arrives on time, as a major part of the way we work is to begin and end each day together as a group. You will need to arrive by 8.45 am at the latest. A vegetarian lunch, hot drinks and refreshments are included as part of the course fee. Please request details of local accommodation available.